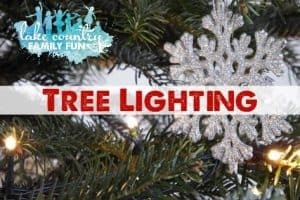 Lake Country Family Fun has put together a one-stop guide that consolidates all your Holiday and Christmas events and fun into one place. First, read about our sponsor, the Ingleside Hotel’s County Christmas. 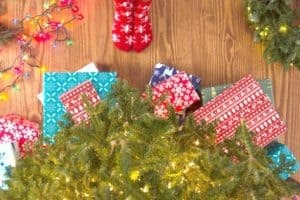 Then use the guide to find great local Christmas and Holiday fun for you and your family. A HUGE Holiday thank-you to our Holiday Fun Guide Sponsor, The Ingleside Hotel presenting the Country Christmas. COUNTRY CHRISTMAS at the Ingleside Hotel is Wisconsin’s Largest outdoor drive through light display and it begins soon for the 2018 season. My kids always have a blast going through each year and they always seem to notice more and more details each year and squeal with delight as we make our way through! It runs from November 23rd – 25th and then November 30 through December 31st. Sunday through Thursday hours are from 5-9 pm, and Fridays and Saturdays it runs from 5- 10 pm. 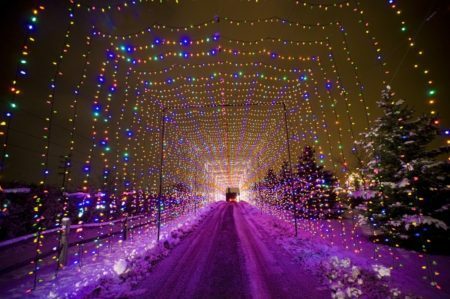 COUNTRY CHRISTMAS DRIVE THROUGH LIGHT DISPLAY – November 23rd – 25th and then November 30 through December 31st. Do not miss these four wonderful Christmas Concerts on three days, a fundraising series to benefit the WAUKESHA County SALVATION ARMY and its charitable work, exclusively in Waukesha County. Last year events were sold out and stand-room only, so get your tickets EARLY! Delafield: Saturday evening, December 15, 2018 at 6:45 pm – St. John’s Northwestern Military Academy Noble Victory Memorial Chapel. *There is a $1.25 fee to purchase tickets through the above links. Don’t Miss This Beloved Holiday Favorite! DREAMS come alive in the MainStage Academy of Dance Youth Ballet’s enchanting production of ETA Hoffman’s The Nutcracker! Be delighted by the dazzling handmade embellished costumes, charming sets, falling snow and accomplished dancers as MSAD’s signature production unfolds before your eyes in this most beloved holiday favorite. We are in our seventh year and invite you to make it a family tradition! This is the what true fairytales are made of! The Nutcracker Ballet is performed entirely by the students of Mainstage Academy of Dance along with a few of their parents. The young cast of boys and girls, ages 8-18, will perform choreography by MainStage Artistic Director, Eddy Bray. All performances will be shown at the OCONOMOWOC ARTS CENTER. Help us feed families in need by bringing a donation of non-perishable food items. Thank you! The 6th ANNUAL Production of the delightful musical rendition of the Charles Dickens classic, A CHRISTMAS CAROL will be at the Lake Country Playhouse this Holiday season. This year’s production promises audiences ‘a little something different’ to welcome the holiday season. Starring past years Christmas Carol Director Bob Hurd as Ebenezer Scrooge! Based on the beloved holiday film, this hilarious fish-out-of-water comedy is now a must-see holiday musical. Buddy, a young orphan, mistakenly crawls into Santa’s bag of gifts and is transported to the North Pole. The would-be elf is raised, unaware that he is actually a human, until his enormous size and poor toy-making abilities cause him to face the truth. With Santa’s permission, Buddy embarks on a journey to New York City to find his birth father and discover his true identity. Faced with the harsh realities that his father is on the naughty list and his half-brother doesn’t even believe in Santa, Buddy is determined to win over his new family and help New York remember the true spirit of Christmas. This modern day holiday classic is sure to make everyone embrace their inner elf! P.S. Kids can meet and take photos with Santa at the Saturday matinee performance! Main Street Song and Dance Troupe’s remarkable vocalists and dancers have wowed audiences at hundreds of venues around southeastern Wisconsin and the U.S., including Summerfest, Marcus Center for the Performing Arts, and Disney World. This family-friendly show features holiday classics as well as hits from modern holiday musicals such as Elf and How the Grinch Stole Christmas. Performances will be held at the Sussex Hamilton High School “Little Theatre” on Dec. 14th at 7:30 PM and Dec. 15th at 3:00 PM and 7:30 PM. Tickets for the event can be purchased online with reserved seating at www.mainstreetsonganddance.org. A 33% discount is available when using the promo code CHEER, making this show an affordable and fun family outing at only $10 per ticket. Children are invited to meet and take pictures with Santa at the 3:00 show on Dec. 15th, and all three shows feature an interactive sing-along section that kids—and kids at heart—will love. Note: Information posted below taken from websites with permission. Reminiscent of the centuries-old Christkindlesmarkt of Nüremberg, Germany, the 21st annual Old World Christmas Market at The Osthoff Resort offers the warmth and merriment of this Old World tradition. The Osthoff Resort’s Old World Christmas Market was named one of the 2012 American Bus Association’s Top 100 Events in North America (CLICK HERE TO READ THE PRESS RELEASE)! 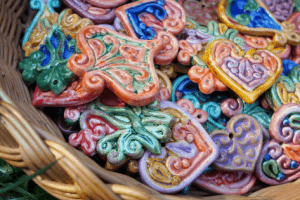 For ten consecutive days, guests stroll the aisles of a grand heated tent bedecked with fragrant boughs of fresh evergreens and the tantalizing scents of roasted almonds and Nüremberg bratwurst as they browse for unique and specialty items among international and regional artisans. The 2018 Old World Christmas Market is open daily from 10 AM – 5 PM, November 30 – December 9, 2018. Admission is $7 per adult, children 14 and under are complimentary with an adult ticketholder. Discounted ticket prices for groups of 20 or more are available. For more information, please call (877) 517-4596. Celebrate the season as you travel back in time to engage your sense with performances, music, food, and hands-on activities that highlight holiday traditions brought to Wisconsin by immigrants. Help prepare Vanocka (traditional braided bread), tour the Yuletide Village in a horse-drawn sleigh, have your picture taken with Victorian Santa Claus in his busy workshop, sip on hot cider and wassail, indulge in sweet treats, and more! Don’t forget to watch out for Krampus! December 1-2, 8-9, 15-16 from 10am to 4pm. / Advance reservations are not required for An Old World Christmas. Special Pricing: Adults $12; youth (5-17) $9; children 4 and under are free. WHS members receive Free Admission to An Old World Christmas. 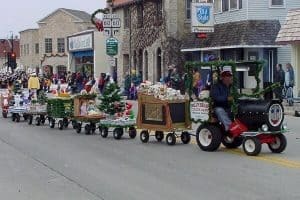 Christmas in the Country 2018 and the 25th Annual Illumination Ceremony – Join Grand Geneva on Sunday, November 18, 2018 for the kickoff of the annual six-week long Christmas in the Country Celebration. We flip the switch on more than 2 million lights throughout the property, then follow it up with our dazzling grand fireworks display to kick off the holiday season. Discover even more holiday magic this season with the additional kids activities and live entertainment throughout the Grand Ballroom, Evergreen Ballroom and the Lobby. Enjoy holiday cookies and hot apple cider too. We ask that all guests bring a new, unwrapped toy to donate to United Way of Walworth County. This annual holiday tradition transforms BMO Harris Bank’s downtown lobby into a holiday spectacular. Free and open to the public at 770 N. Water Street, downtown Milwaukee. This year’s BMO Harris Bank Holiday Display features more than 150 life-sized animals in Holiday Busy Town. The display is free and open to the public. For each visitor to the Display, BMO Harris Bank will donate $5 to Feeding America Eastern Wisconsin. It’s the most dazzling time of year downtown – the Milwaukee Holiday Lights Festival is returning for its 20th year! Kick off the season on Thursday, November 15 at Pere Marquette Park with a holiday variety show and the city’s largest switch-flipping ceremony. Enjoy an elegant horse-drawn CARRIAGE RIDE through the streets of downtown Waukesha. Tickets can be purchased from participating downtown businesses, and you can get on a carriage at any of the carriage ride stops throughout downtown. ENTER TO WIN A FAMILY FOUR PACK OF CARRIAGE RIDE TICKETS HERE. CANDY CANE LANE is in West Allis and is fundraising for the MACC Fund (Midwest Athletes Against Childhood Cancer). It runs November 23 through December 26th, and the hours are 6:00 -9:00 pm on the weekdays and 5:00 – 10:00 pm on Saturday & Sunday. Please note that the hours may change due to weather, traffic, and other conditions. Candy Cane Lane is the neighborhood bordered by 96th Street on the west, 92nd Street on the east, Montana Avenue on the north, and Oklahoma Avenue on the south. The Official MACC Fund donation location is at the intersection of 95th and Manitoba. 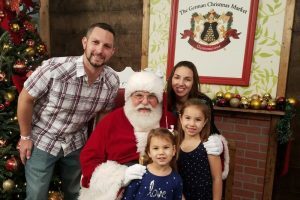 THE CHRISTMAS CARNIVAL OF LIGHTS is open Saturday, November 24th through December 31 except Christmas Day, when the Carnival is closed so that the Isaacson family can enjoy the holiday together. Hours: Sunday-Thursday: 5:00 – 9:00 pm, Friday and Saturday: 5:00 – 10:00 pm. Cost: Car (up to 8 people) $20, Large passenger vans, camper, limo, mini bus $30, Large Bus, Greyhound or Large Motorhome $35. Please note: Santa’s Workshop is open every day. Santa is at the workshop and available for photos every Wednesday 6:00-8:30pm, Friday and Saturday 5:30-9:30PM on November 26th and between December 2nd and 24th. Visit SANTA’S WORKSHOP to learn more. 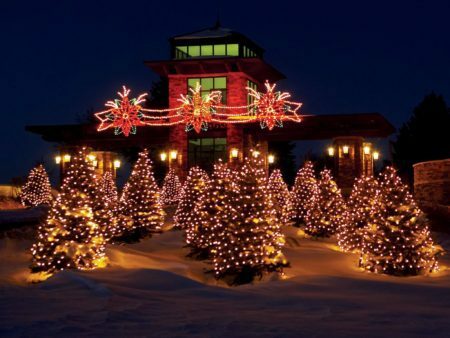 The Wisconsin Christmas Carnival of Lights is hosted at Yogi Bear’s Jellystone Camp Resort in Caledonia, Wisconsin, located just 20 minutes south of Milwaukee. Note: Cash only. ATM available. Join us the first weekend of December (Nov 30 – Dec 2) for a driving tour through the historic Monches and scenic Holy Hill area. Each stop on the tour is offering unique giftable items you won’t find anywhere else, created by local artists. Visit our ‘participants’ page to view all the stops along the tour. The tour runs from 9:00am until 5:00pm Friday, Saturday and Sunday*. Print out a map to plan your personal driving tour! Maps will also be available at each of the tour stops as well. Pricing: $5 per person before 3:30pm (2 & under are free) $7.50 per person after 3:30pm (2 & under are free) Pricing includes the holiday drive-thru, petting zoo admission, and hot cocoa. We hope to see you this holiday season! *Special events provided every night starting at 6 p.m. or 6:30 p.m. Celebrate the holidays with Cedar Creek on Festive Fridays! On each of the six Friday nights before Christmas you will find a specially-themed holiday event at the Cedar Creek Settlement. The winery and shops are open until 9pm with music, wine tastings, cookies and cider. The Settlement is festively adorned for the holidays and features 25 unique shops all nestled in a restored 1864 woolen mill. Each Friday will have a specially-themed holiday event. November 16 – Settlement Christmas Showcase November 23 – Home for the Holidays November 30 – A Heritage Christmas December 7 – Santa’s Workshop December 14 – A Taste of Christmas December 21 – Countdown to Christmas Happy Holidays! In 2018, the City is delighted to host the Wisconsin State Ice Carving Competition as part of the 2018 Ice Festival on Saturday, December 15 and Sunday, December 16! Over a dozen ice blocks will be placed throughout Wehmhoff Square Park. Each sculpture will be carved from a 300-pound block of ice that has been frozen in a special process to ensure that the blocks are crystal clear. The blocks are ten inches thick, twenty inches wide and stand forty inches tall on a wooden stand. The live sculpture carving, a favorite viewing attraction, showcases ice carvers using hand tools as they transform the massive blocks of ice into an array of giant masterpieces. 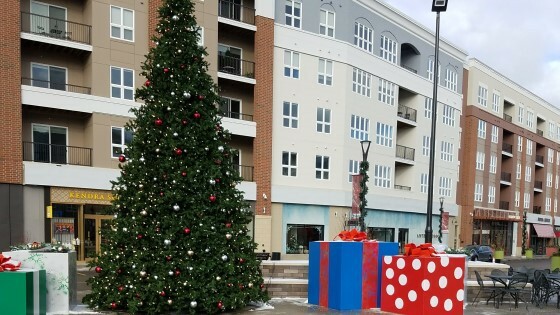 Along with watching the carving competition, visitors can spend the day in downtown Burlington taking a horse-drawn wagon ride, seeing live reindeer, visiting Santa Clause, exploring our downtown and much more! There is no cost to visitors attending this festival. This is event is only made possible with the support of our community sponsors. • Carvings lit up at night! The show will run from 5:00 pm to 9:00 pm Sunday through Thursday; 5:00 pm to 10:00 pm on Friday and Saturday. See link for address and more details. The display will run each night starting at 5:00 pm. The shows will end at 9:00 pm on Sunday through Thursday and 10:00 pm on Friday and Saturday nights. The display hopes to be up on December 1, 2018. Park your car and watch the Christmas lights as you listen to the music over the radio at a residential home on Sunflower Court in Summit. Tune to channel fm 89.5. The display runs from 5:00 pm – 10:00 pm. Lights are up and one song available at this time. More songs will be added the weekend of December 1, 2018. Drive past this beautifully remodeled home in downtown Oconowmoc at night to see their gorgeous lights. The Ziemer Family invites you to drive through their light display on their farm on the north side of Watertown. The lights will be on at 5:00 pm. You can drive through now through New Year’s Day. LAKE COUNTRY FAMILY FUN HAS ALL YOUR HOLIDAY NEEDS. 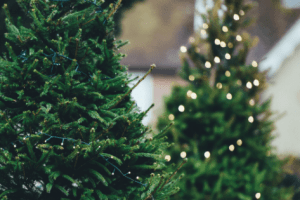 CHECK OUT OUR HOLIDAY SHOP SMALL GUIDE, PHOTOS WITH SANTA GUIDE, CHRISTMAS TREE LIGHTING GUIDE, CHRISTMAS TREE FARM GUIDE, HOLIDAY CRAFT FAIR GUIDE, AND CHRISTMAS AND HOLIDAY PARADE GUIDE. HAPPY HOLIDAYS FROM LAKE COUNTRY FAMILY FUN! If you have a Holiday Fun event that fits into one of the categories in our Holiday Fun Guide and would like it added to this list, please email us at erin@lakecountryfamilyfun(dot)com with your information. You can also email us via the contact form below.